see why cisco has partnered with measureup to create award-winning practice tests that help networking professionals pass their cisco certification exams. 70-696 dump the most recommended it exam questions and answers – exam-certs, 100% pass guarantee! pass your it exam: cisco, microsoft, ibm, hp, oracle. 200-550 dumps microsoft office specialist word 2013 microsoft. exam 410: installing and configuring windows server 2012 microsoft. microsoft office specialist excel 2013 microsoft. h12-211 exam dumps microsoft office specialist word 2013 microsoft. exam 410: installing and configuring windows server 2012 microsoft. microsoft office specialist excel 2013 microsoft. e10-002 exam dumps free offering free fortinet nse4 exam questions and answers fortinet network security expert 4 written exam (400) 301B exam anyone who has taken a microsoft certification exam recently has probably noticed that the exams are becoming more difficult than they used to be. IPAF Training 1B, 3A and 3B In Centre or On Site. Are all of your Flexi or Bendi truck operator’s certificates up to date? Fines recently issued for non–compliance are in excess of £1/2 million. MHA Training offer an extensive range of Pivot Steer truck training | Bendi training | Flexi training courses. We can tailor them to suit the needs of the individual or the business. On successful completion we can issue an RTITB Accredited licence or an In-House licence. On Site Forklift Bendi-flexi Training. 1 Day Bendi-Flexi Training Refresher Courses. 2-3 Day Courses (Experienced Untrained). 3-5 Day Bendi-Flexi Training Courses (Novice). 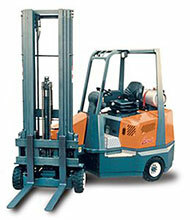 1-2 Day Bendi-Flexi Training Forklift Conversion Courses. Flexi Training or Bendi Training. All Bendi-Flexi training courses include training, certification and registration onto NORS (National Operator Registration scheme). All of these forklift courses are designed to meet the requirements placed upon employers with regard to their duties under the Health and Safety at Work Act 1974; the Provision and Use of Work Equipment Regulations 1998 (PUWER); the Lifting Operations and Lifting Equipment Regulations 1998 (LOLER) and other relevant regulations and codes of practice. Forklift Certification / licences will be endorsed by the RTITB and can be tailored to suit your companies needs. In-House specific Bendi-Flexi training is also available. Bendi | Flexi Training courses. Novice - For a Bendi-flexi operator with little or no experience of Bendi-Flexi truck operation. Novice 1 candidate – 3 days. 2 candidates – 4 days. 3 candidates – 5 days. Existing / Untrained - For a Bendi-Flexi operator who has not had formal training but has operating experience. Experienced/Untrained 1 candidate – 2 days. 2 candidates – 2.5 days. 3 candidates – 3 days. Refresher - For a Bendi-Flexi operator holding a recognised certificate / licence with approximately 3 years operational experience of a Bendi-flexi truck. Refresher 1 candidate – 0.5 days. 2 candidates – 1 day. 3 candidates – 1 day. Conversion - For an operator holding a recognised certificate / licence on one truck type looking to be trained on a Bendi-Flexi truck. Conversion 1 candidate- 1 day. 2 candidates – 1.5 days. 3 candidates – 2 day. If you are not sure as to what Bendi or Flexi training you require please fill in the form on our Contact Us page. Call us on (01925) 446718 (office) or 07862230077 (mobile). Alternatively you can email us at info@mhatraining.co.uk. We will be more than happy to assist or come and assess your current records free of charge to ensure legal compliance. MHA Training was established in 2008 based at our training centre in Warrington, Cheshire. We provide an array of services On-Site also for clients around the North West in areas such as Manchester, Liverpool, Widnes, St Helens, Runcorn, Wigan, Preston and Leeds. Over the years we have expanded and have instructors available Nationwide.